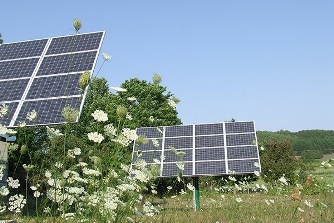 Solar panel systems offer a reliable and sustainable alternative for farms. Our experience has shown that farmers are the best long-term planners in business. Consequently, most people in agriculture are also more connected to the long-term financial benefits of Solar Products Manufacturer Ahmedabad. With the ample of space in the ground and on the roof so solar is the ideal solution for farmers and helps to reduce operational expenses. Additionally, farmers and ranchers go solar to insulate their operating costs against unpredictable rising energy rates. We offer the eco-friendly agriculture solutions and create a green agriculture ecological chain. Grace renewable energy also offers end-to-end support on solar micro cold storage systems. The micro cold storage system is a solar hybrid, modular low-energy, low-cost cold storage unit that is capable of cooling vegetables. We deal in the sales and distribution of all types of solar products for agriculture. Our objective is to support the farmers to minimize the cultivation cost and improve their income.